When you’re in a car, if you forgot something you can always pull over and figure it out. When you’re in an airplane, you’ve got what you’ve got. That gear becomes even more important when things go wrong in the air and you need a backup or a way to troubleshoot the issue. Part of the challenge of flying is making sure that you have all the gear you need for your flight when you leave the house, and to make sure that it includes some good emergency equipment as well as your normal flying gear. Over the last year I’ve put together a pretty nice flight bag for personal flying in Texas, and I figured it would be a good idea to open it up and show what’s inside. I rent my wings, which means that I need to truck all my aviation related junk to and from the airfield with me every single time I fly. I tried using a range bag that I had acquired through my alter ego, but it wasn’t the most elegant solution. To make that process easier I wanted to see if there was a better bag out there that would give me quick access to all my gear while in flight yet contained enough to not take up my entire trunk. 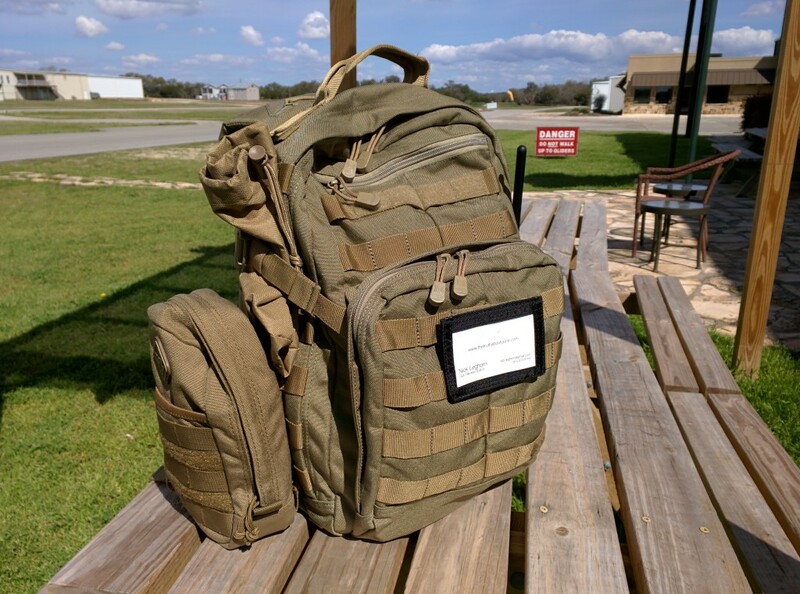 After going through a few different bags, I finally settled on my #1 choice: the 5.11 Rush 12 Back Pack. 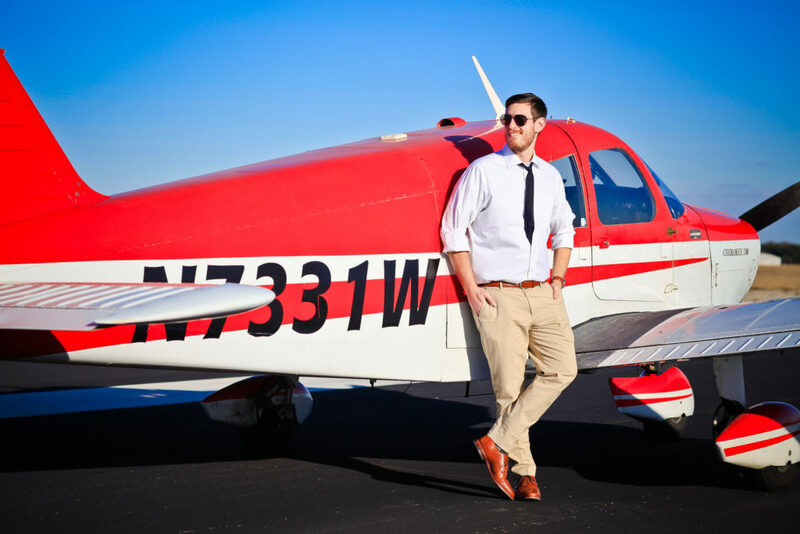 As soon as I left flight school and started renting airplanes on my own, I realized that there was a gaping hole in my basic pilot skills. 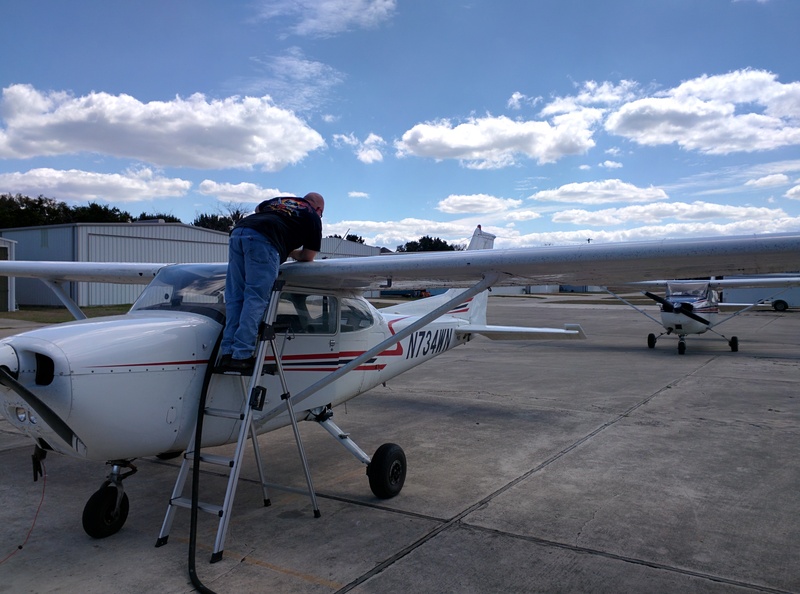 I could do steep turns and turns around a point without breaking a sweat, but there was one skill that is neither tested on the private pilot practical exam nor is it on the curriculum for many flight schools. It’s a skill so essential in the real world that you will do it every time you go flying. The skill: refueling the airplane. I actually had to look it up online to see how it was done before renting an airplane, and the lack of good resources was a little disturbing. So as an effort to “pay it forward,” here’s the quick and dirty how-to for topping the tanks. 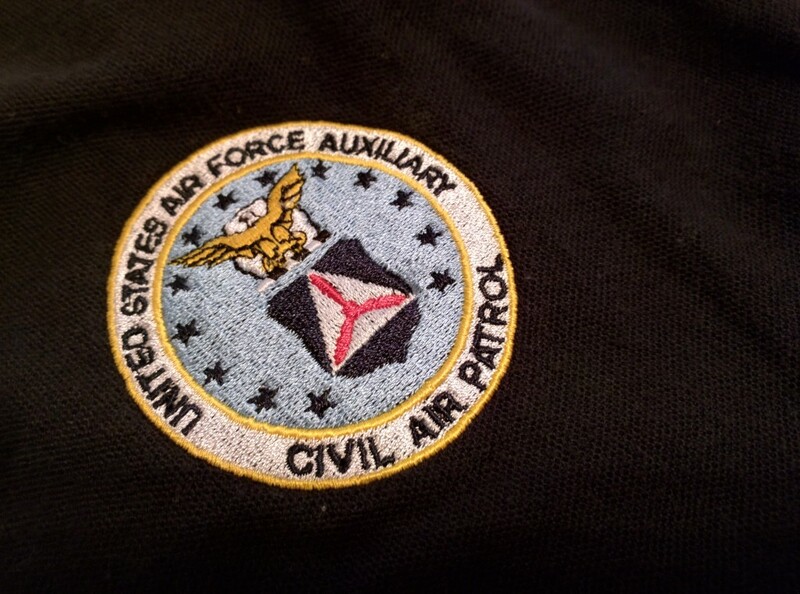 When I was doing my flight training at Stinson Municipal Airport in San Antonio, I would constantly see a couple red white and blue Cessna airplanes parked on the ramp proudly marked “Civil Air Patrol.” I honestly had no idea what CAP was, and when I turned to my CFI and asked him the response was “I dunno, sky cops?” So I looked into it a little more, attended a couple meetings, and pretty quickly realized that getting into the Civil Air Patrol might be the single best decision a brand new private pilot can make. Why? let me give you three reasons . . .
A few weeks back, FlightPro stopped updating their charts. The app had been launched to much fanfare, and between 10,000 and 50,000 people have since installed the app and paid for its Electronic Flight Bag services. The updates stopped when an internal scuffle between the original developer of the code (Avilution) and the new FlightPro team came to a head, and the Avilution team refused to keep updating the app. It seems like the new FlightPro team have come up with a workaround to the kerfuffle, but Avilution are the guys who actually have the keys to the castle (the Google Play and Google Wallet accounts for FlightPro) and blocked any progress, and now lawsuits are beginning to fly as the future of the app seems more and more bleak. In the early hours this morning, Garmin released a new version of the Garmin Pilot app. There were the usual mentions of bug fixes and new supported Garmin products (this time the Garmin GLO GPS device), but the one item that stood out was that Garmin Pilot accounts would be merged with standard Garmin accounts during this update. 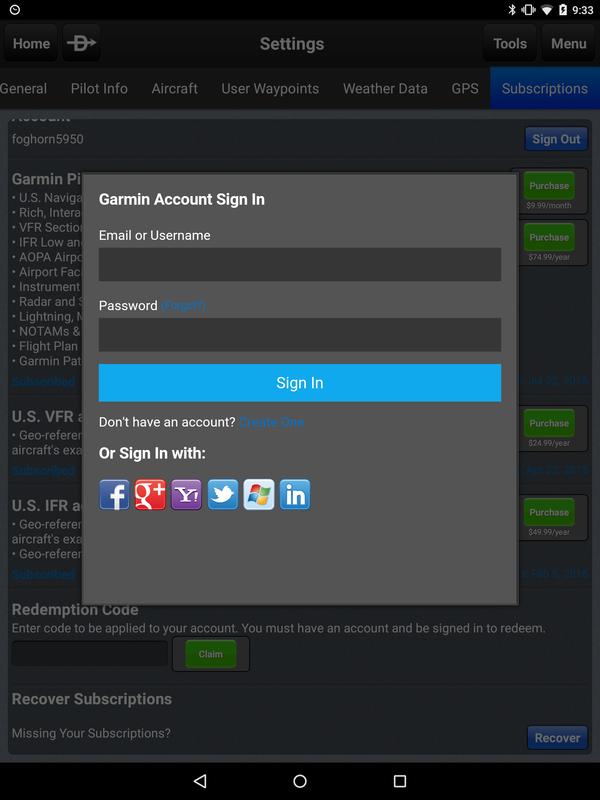 Garmin Pilot requires you to have a username and password to manage your various subscriptions, but that account has always been completely separate from the one used on Garmin.com. It never made sense to me, and it looks like they finally fixed that oversight. It seems like a minor change, but the potential for new features is pretty cool.